At least one alumnus has concerns whether Ball State's administration will keep Hoke. 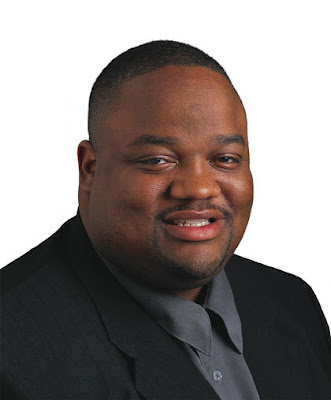 Jason Whitlock, a columnist for the Kansas City Star who played for the Cardinals from 1985-88, said the administration has handled the situation unprofessionally. "The university is dragging its feet, and it's disappointing," Whitlock said. "This should've been addressed and wrapped up a month ago. I cover major universities across the country, and that's how you appropriately deal with a coach that has had this kind of success." Whitlock first told Ball State President Jo Ann Gora she needed to address Hoke's contract situation in September. A couple days before Ball State's game with Eastern Michigan University on Oct. 25, Collins and him had dinner at Gora's house to talk about a potential salary raise for Hoke. Whitlock said he offered $50,000 during the dinner to help keep Hoke at Ball State. "Everybody said the right things," Whitlock said. "But I left there questioning whether they had the courage and will to do the right things." That is unprofessional behavior for a journalist. But can anybody be surprised at Whitlock's awful judgment? We last saw Whitlock after he wrote a column that mocked Christianity and joked that Mary and Joseph conceived at an alcohol party. My take: Don't expect publisher Mark Zieman to draw a line on ethical violations at his paper -- he can't enforce ethical standards at the Kansas City Star because of his own shady arrangement involving his wife, Rhonda Lokeman. ...I fergit. Is this " Speaking truth to Power " , or is it " Comforting the Afflicted "? Or is it just simple bribery and blatant bias by a mental midget posing as a reporter ? It's a pay-to-play deal in reverse. The college president had the good sense to shine Whitlock on before showing him the door. Asked to respond … Lokeman told Journal-isms, "I have always had a strong sense of ethics, that's the very basis of my journalism." "Leaving The Star left me to write exclusively for Creators, [which picked me up in 2006] for syndication and released my column in 2007 shortly after Molly Ivins died. A KC Scar poster commented that Lokeman-Zieman pays Creators to be syndicated? McC. Watch is mentioned by name for raising unfounded nepotism questions, I guess? "Mr. Chairman, I respectfully refuse to answer on the grounds that I have more melanin than you do." From the looks of Whitlock, it appears he was conceived at a McDonald's. Can you "supersize" that order?